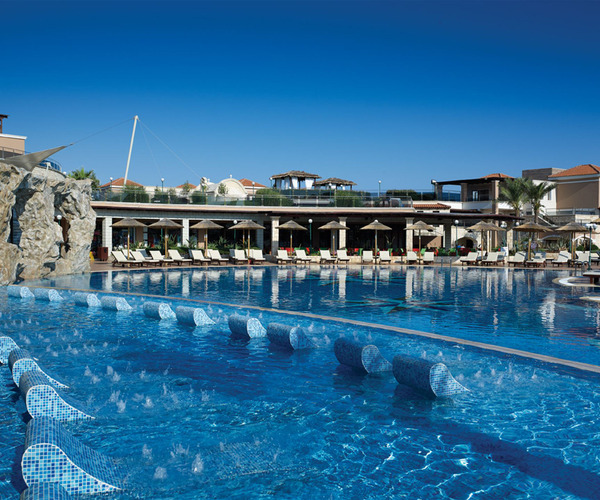 The hotel is located on the golden sandy beach of Lyttos on Crete’s northern coast. For everything else, the village of Analipsi is just 5 minutes walk away. It’s a calm spot with bars and tavernas along the main street. As for getting out and about, lively Hersonissos is literally up the road, while historic Heraklion is just 30 minutes drive away. Elemis & Comfort Zone have over many years of Luxury experience in treating both men and women in the professional spa environment. Each spa-therapy has been developed by a specialised team, using extensive clinical and scientific studies to ensure every therapy shows real results. Designed to respect the body's complex physiology and work in natural synergy with the skin, body and mind. Every treatment is specifically designed to offer a unique experience, using powerful massage sequences and the most potent actives available in the world today. Dynamic ingredients, medical grade formulas and dedicated research are all combined to provide a range of spa-therapies that offer scientific solutions to every skin, body or lifestyle concern. On offer is a full range of services including money exchange, an ATM machine, laundry service, parking and car rental. You will also find a mini supermarket within the hotel for any holiday essentials you might forget. If you are in the mood to treat yourself or your loved one with an extraordinary gift, there is a jewelry shop also available in the resort. You will also find a free Wi-Fi service throughout the hotel. There is a doctor’s office available in the hotel. Please contact the reception team to arrange a visit or drop by during the opening hours. A private hospital is also available on the Island. For lighter cases where a trip to the pharmacy will suffice, there are pharmacies available and open daily in the local resort area approximately 1km away.